New uniforms for local wardens - now renamed community officers - were unveiled on Thursday as part of an ongoing rebranding aimed at salvaging their reputation. The new uniforms comprise white shirts and blue ties, blazers and hats for both male and female officers, and follow the shift in responsibility for the new community officers from the private sector to the government Local Enforcement System Agency (Lesa). “We wanted to change the perception that local wardens were just there to hand out tickets. 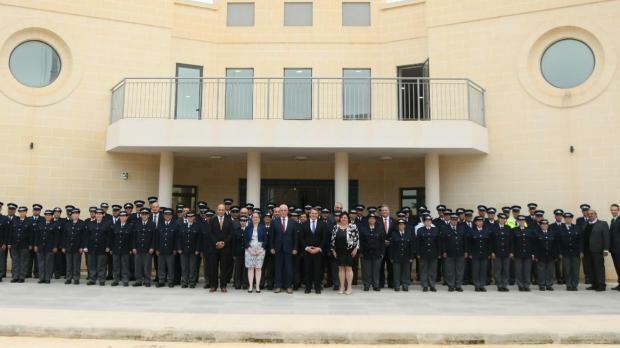 The old uniforms were outdated and did not command respect,” Parliamentary Secretary Silvio Parnis said at a presentation at the Academy for Disciplined Forces at Ta’ Kandja. Mr Parnis said the new community officers would soon be assuming new environmental responsibilities, including enforcement of the soon-to-be-introduced mandatory waste separation system. The reform, he added, included new headquarters and training for officers at the disciplined forces academy, as well as a recruitment drive for around 40 additional officers.